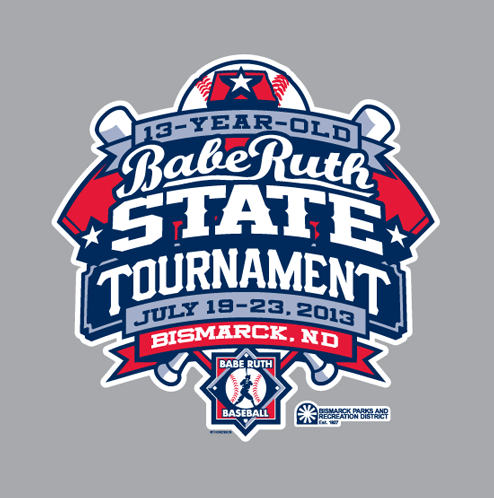 When Bismarck was selected to host the 13-year-old Babe Ruth State Tournament, I gladly stepped up to create a design for Bismarck Parks and Rec to use on all tournament materials. The fine folks at Universal Athletics pressed and sold shirts on site to eager fans and players from all over the state. Our Bismarck boys placed a respectable third, but the shirt was a home run. 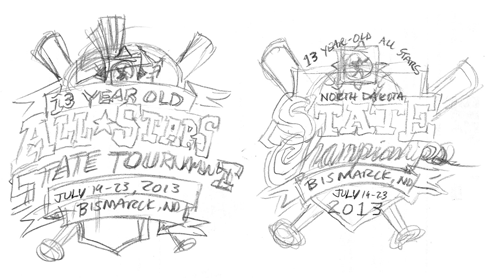 According to Universal Athletics, this was the best-selling tournament design to date.